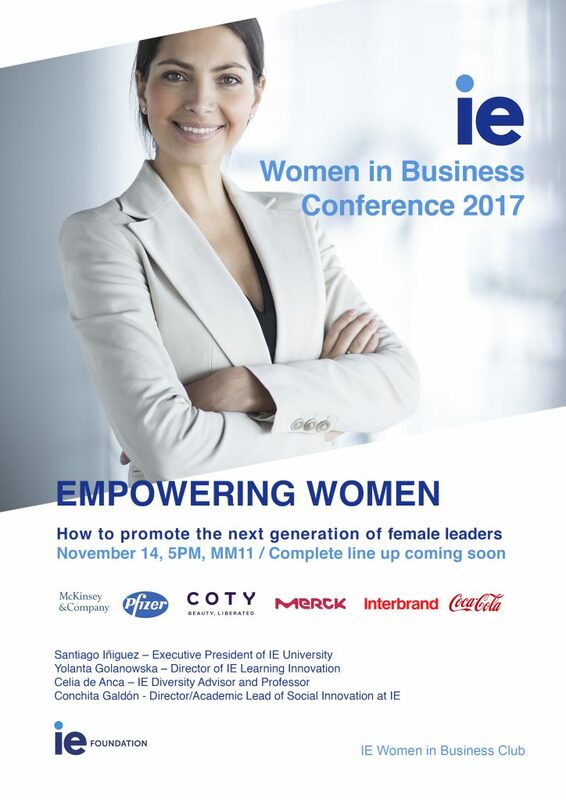 Leading companies will present their initiatives to foster female leadership, and female executives will share their experiences: P&G, Pfizer, Merck, Interbrand and Coca-Cola! We will also count on Santiago Iñiguez – Executive President of IE University, Yolanta Golanowska – Director of IE Learning Innovation, Celia de Anca – IE Diversity Advisor and Professor, Conchita Galdón – Director of Social Innovation at IE. Join us for the biggest IE WIB Club event of the year – Our Women in Business Conference, on November 14th!